Moshe Zar asks why collective punishment is only used against Jews these days. 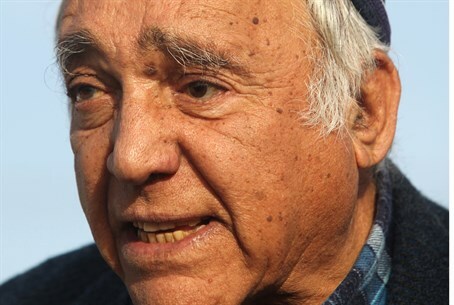 Moshe Zar, 76, a legendary redeemer of land and Samaria pioneer, discovered Tuesday morning that the memorial to his slain son, Gilad, had been burnt and defiled. He shared his feelings with Arutz Sheva in an exclusive interview. 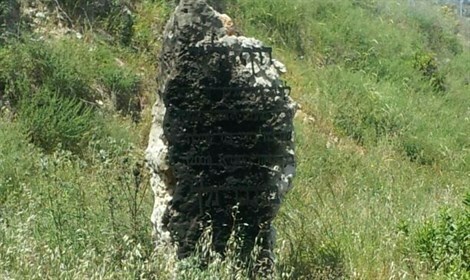 Burnt monument to Gilad Zar Kedumim security. "Where are all of the denouncers who wanted to denounce the residents of Yitzhar?”, he asked rhetorically. “I do not wish upon anyone, even those who hate me, to have a son murdered, and then see the matter pass in silence. Now I want to see what they will do. I expect them to stop allowing Arabs to drive on Gilad Road. He is the one who planned this road," Zar added.